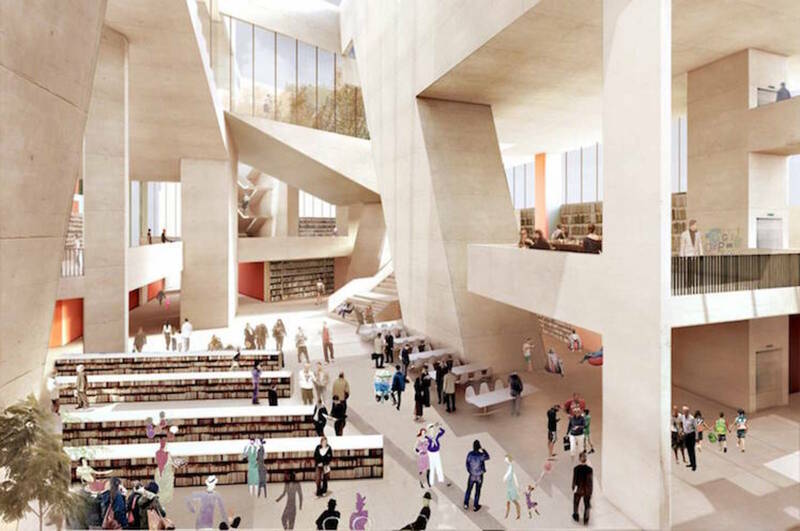 City Librarian Margaret Hayes finally unveiled the latest sketch designs for the new city library at Parnell Square North earlier this week. Part of the Parnell Square Cultural Quarter first floated back in April 2013, Hayes says the city library has long been an ambition of the council. It’s taken a bit longer than expected to get to this point. An earlier timeline suggested that officials would apply for planning permission in early 2016. But councillors seem happy with what has emerged. As the designs – which were put together by Grafton Architects and Shaffrey Associates – look now, the development will be a 50:50 split of old and new builds. 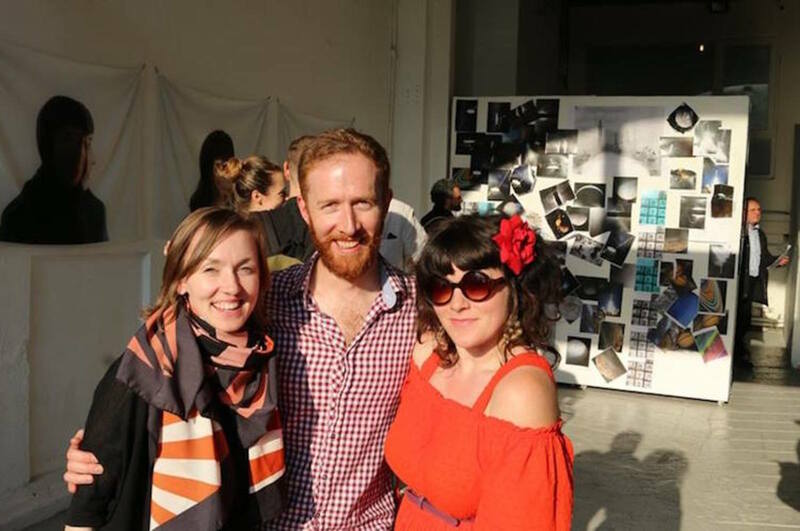 The new cultural space will occupy the terrace on Parnell Square North, which stretches from No. 27 up to the Hugh Lane Gallery and the Dublin Writers Museum. To the rear of the terrace, a substantial new building will house roughly half of the new library. The new building, the main library, is proposed to go directly behind the terrace, where the old Colaiste Mhuire school is now. There are at least four public entrances planned at the moment, the main one at No. 27, to the left of the Hugh Lane. 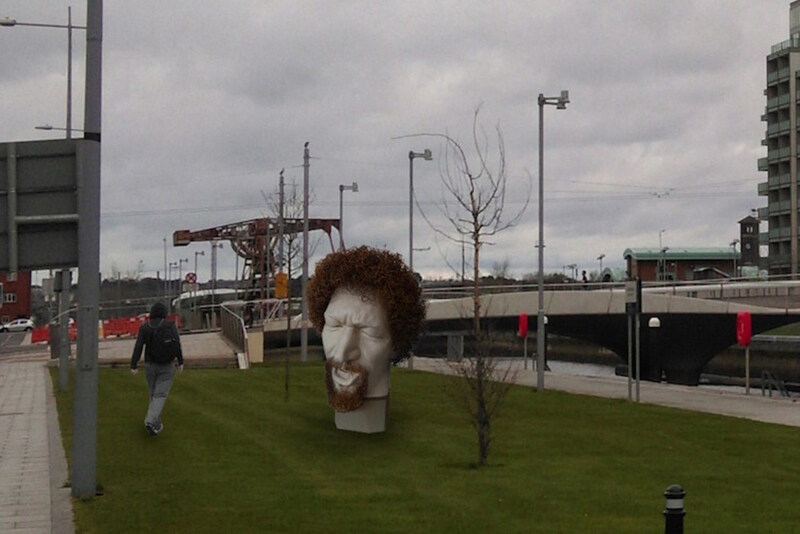 For the design team, it’s taken some creativity to work with the breadth of buildings on the site. 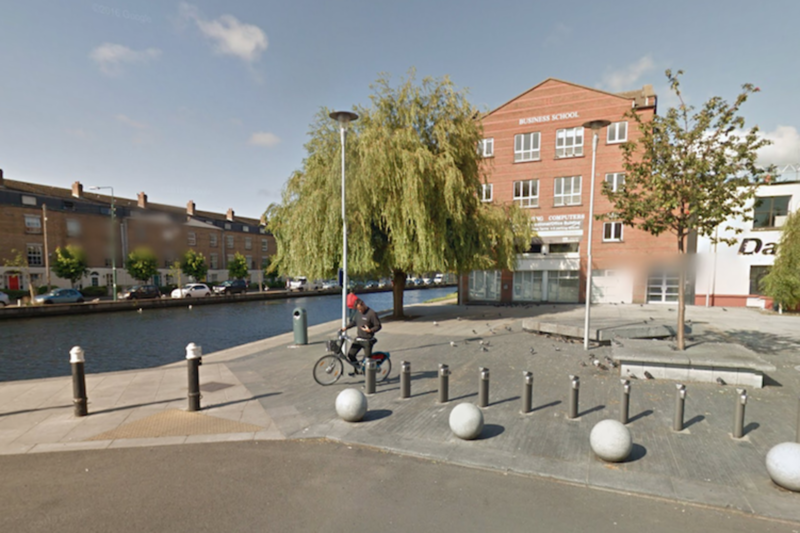 “They’ve grappled with a very interesting challenge,” said Dublin City Council architect Owen O’Doherty. design team had to determine where a whole network of facilities would be housed. As the designs look at the moment, visitors will enter through the main entrance at No. 27, which will also house, on the top floor, the conference facility, with the library reading rooms, literature and education centres located across the Georgian terrace. 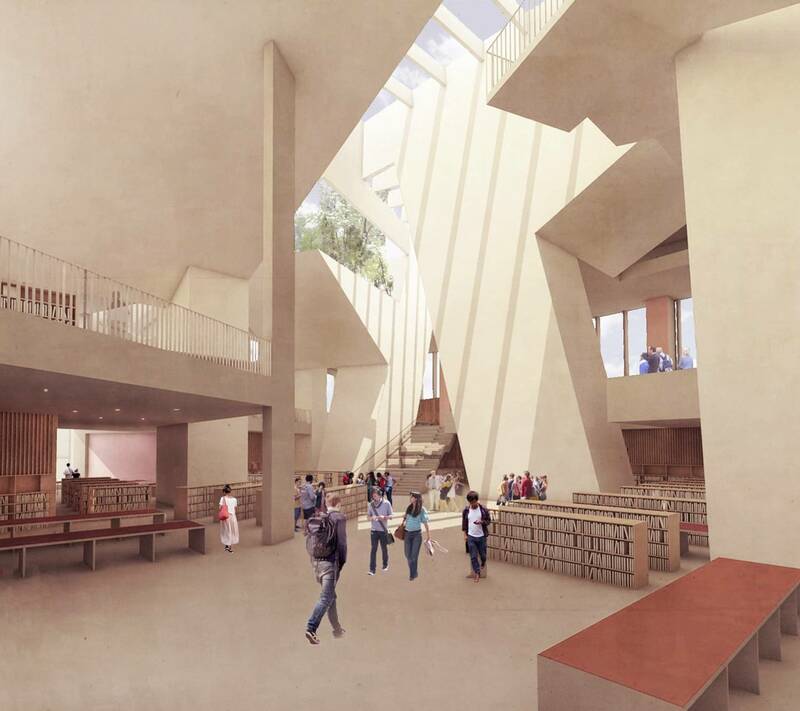 A general lending area will house 150,000 items with 1,000 seats for readers and a children’s library on the lower ground floor. The third floor will cater to teens and young adults, and the first floor will have a reference library. An archive section, housing the Irish Theatre Archive, is proposed to be “wrapped around” by an exhibition space and will hold the paper collections of the Hugh Lane, said Hayes, the city librarian. The design also includes an online learning service spread across several different floors, with 100 seats available. There is a planned innovation hub on the ground floor at No. 23, and a “Story House” with a space for readings, mainly on the second floor. 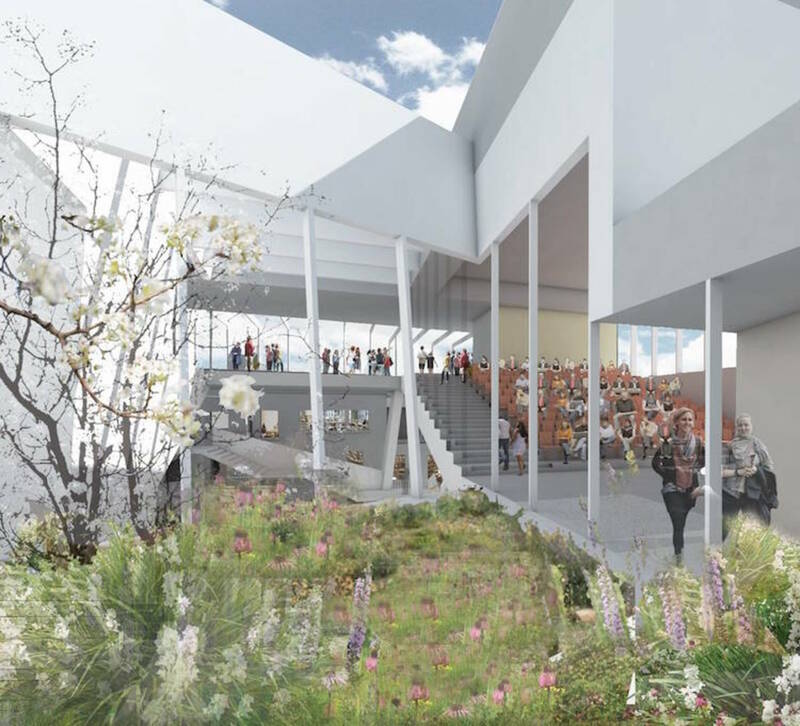 A 6,000-square-foot “Music Hub” is planned for the third floor, with music collections, music for listening and a 60-seater space for rehearsal and performance. There’s room for a conference centre with 200 seats and a nearby pop-up garden. 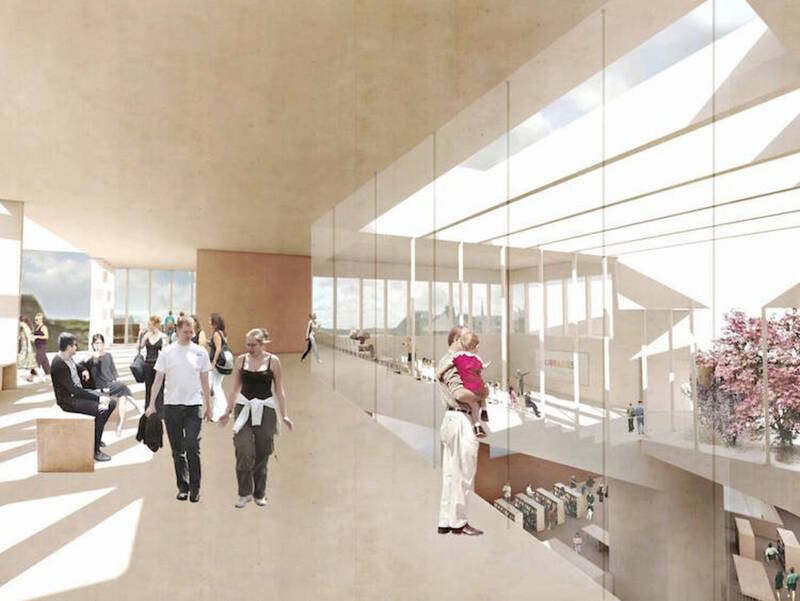 The library designs also include roof gardens and a cafe. The idea behind the sketch design is to create “an ensemble experience” for visitors, with permeability between the Georgian terrace, the Hugh Lane and the new build at the rear, says Hayes. It’s a grand design, as many councillors noted, and there are still concerns about how exactly it will all be funded. The project is estimated to have a €60 million price tag to be paid for by philanthropic donations. Real estate firm Kennedy Wilson have already donated €2.5 million to start the project off. At Monday’s arts committee meeting, People Before Profit Councillor John Lyons wanted to know how the €57.5 million gap would be closed. Willie White, the director of the Dublin Theatre Festival, queried whether the buildings would include retail space as a source of income. The plan to finance the grand development hasn’t changed since the project’s launch; Kennedy Wilson will still spearhead a donation drive to bridge the gap. If this proves unsuccessful, a new model will have to be found, said Hayes. There will be some revenue streams once the facility opens. “The intention is that there would be some retail associated with the café,” said Hayes. “In relation to any income stream, we would be anxious to procure any such as might exist however the predominant use will be focused on the library and community use,” she said. I’m all in favour of libraries but wonder if this level of spend – circa €60m apparently – can be justified given that Dun Laoghaire has already spent half this sum on a county library. Shouldn’t we have a Government ibrary policy to control or moderate this spendfest? @Reg McCabe: As the article says, the plans for the library are to be funded purely from charitable donations. so it is not a matter of government policy. Also the people you could get use from a library on Parnell Square hardly overlaps with a county library in Dún Laoghaire. Except….where are all the books ? I like the Dún Laoghaire building as a piece of design but there are incredibly few books in it considering its size and its supposed function as a library. Last time I was there the Art and photography section had about 10 books on the shelf. It seems any fiction book that isn’t a flashy paperback thriller from the last 10 years has been removed – they did the same thing in most of the Dublin libraries. I like the new online system the libraries have set up but they have got to seriously address the issue of their limited catalog. So many key books are now “missing” and never replaced, and many new books never seem to make it to the shelves for months, yet anything dull printed by an Irish publishers is ordered in droves. Any time the issue is raised they say there are is massive funding issues with ordering new books. But to me the whole system seems broken just from a catalog point of view. In many respects they might be better off investing in dull old storage facilities and expanding their catalog and using the online ordering system for delivering books to more functional small libraries. Currently the ‘Central’ library has a very small catalog of mainly old books compared to what the British Library would have. TCD I’m sure has a better library catalog than the Irish public library system. I’m not sure sure there is that much of a hurry for an expanded fancy free wi-fi center, which is what the ilac has become. Of course a library can have other functions, but as with the Dún Laoghaire approach, the balance seems to be more on window dressing than functionality. BTW shame they can’t just takeover the BOI building on Dame Street. Parnell Street is a bit out of the way for many and not the safest area. Look forward to seeing how the project progresses. Great work by great architects. You can never have enough libraries. 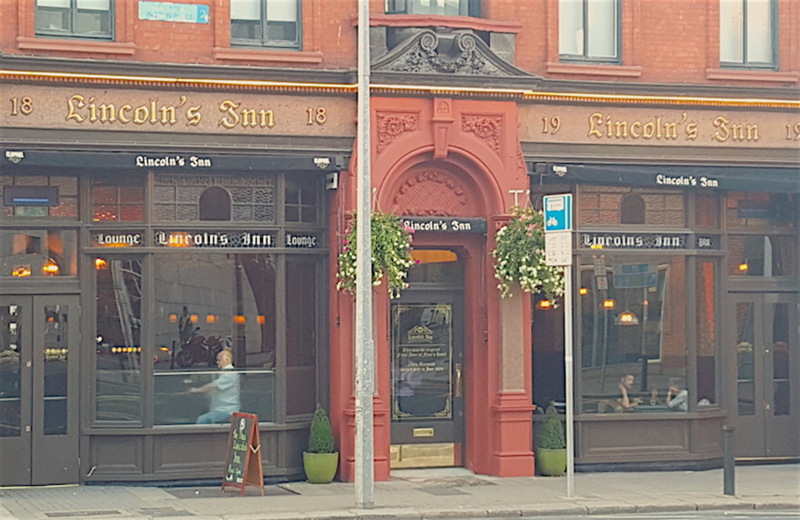 ‘…Parnell Street is a bit out of the way for many and not the safest area….’ I couldn’t disagree more – well done DCC for siting this cultural building on Parnell SQUARE: not only will it reinforce existing cultural institutions, the investment will give this neglected area and its densely populated hinterland a long overdue boost.